Made In Ludlow are proud to present their elegant handcrafted leather photograph albums. Fully bound in the finest hand-dyed leather which gives a luxurious and rich finish. The photograph album has forty leaves, which are available in ivory or black and are made from chemical free archival quality card. They are interleaved with delicately patterned glassine paper, and have a distinctive ivory marker ribbon. 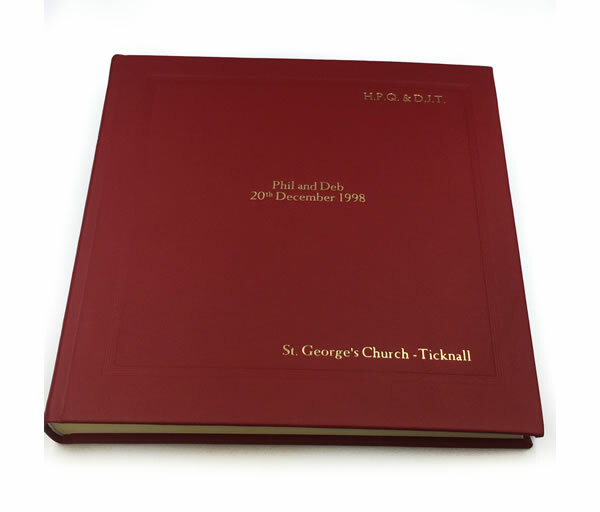 Personalisation is offered on the front cover and/or spine in gold, silver or white. Customers will also have the option to gift wrap these classic and exclusive photograph albums in a special tissue lined presentation box.